Lakeside, Ohio. Those back-to-back names seem too ordinary, too mundane to be considered a desired vacation destination. For our family, though, like thousands of others, that’s exactly what Lakeside, Ohio means. We have been traveling there every year at least once a year for three decades. To other Lakesiders, that’s chunk change. 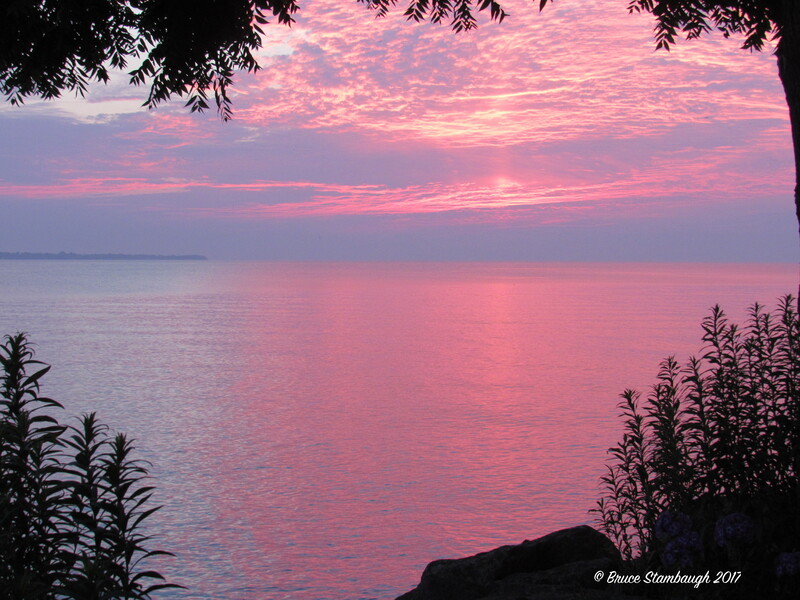 Families have been returning to the Chautauqua on Lake Erie for generations. It’s no wonder. Founded in 1873 as a church retreat, Lakeside has become so much more than that. Indeed, its Methodist roots run deep into the thin soil atop the limestone bedrock of Marblehead Peninsula. Given its founding, religion certainly is one of the four core tenants of the seasonal programming of this summertime magnet. 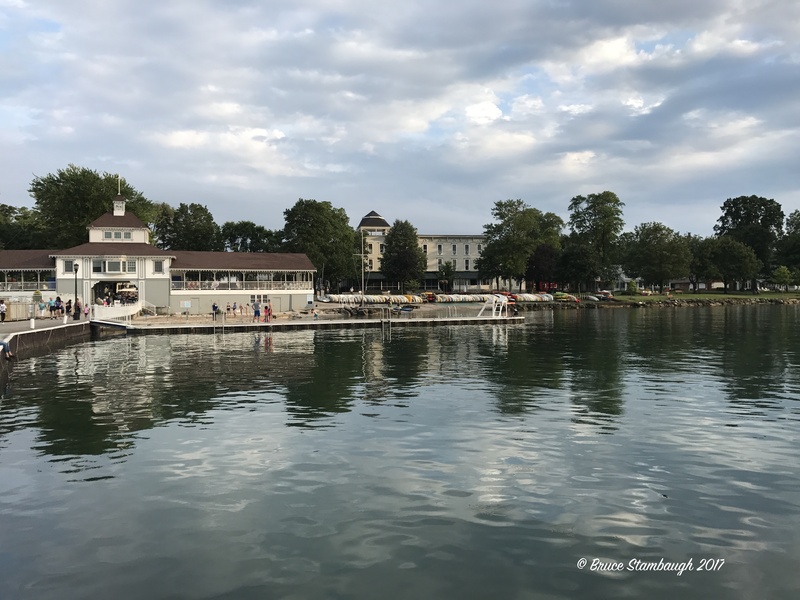 Arts and entertainment, recreation, and education are the other pillars that have lured thousands back to Lakeside’s comforting grounds, cottages, eateries, and camaraderie year after year. Our family is one of those. My parents took my brothers, sisters, and me to Lakeside only on occasion. We lived many miles away, and with no expressways, it was a time-consuming trip, to say the least. I never forgot the happy memories we shared there. We picnicked under giant shade trees only yards away from the alluring Lake Erie. But as we grew, left home, formed our own families, Lakeside was forgotten. Then came the summer of 1987. It was the most heart-wrenching three months of my life. From Memorial Day through Labor Day, one tragedy after the other unfolded. While serving on the local rescue squad, I faced first-hand the hurt and hardship, the pain and anguish of too many folks and their kin that I knew. After the son of a close friend and colleague had been killed in an auto accident, I’d had enough. I desperately needed a reprieve before school began in late August. The peaceful memories of Lakeside flooded my brain. My wife, son, daughter, and I spent an extended, restful, spiritually rewarding weekend lounging in the quietness, enjoying the scenery, the relaxed pace of Lakeside, mini-golf under those even bigger shade trees, and sunsets on the dock. Besides being renewed and refreshed, we were hooked. A summer vacation at Lakeside became a standing reservation. The kids could ride their bicycles freely and safely in the gated community. Activities for all ages abound, even if it was just sitting on a park bench watching the boats sail by. A different program finished off each evening unless we made an ice cream stop on the way back to our quarters. As the kids grew, our vacations expanded into a full week. When we became empty nesters, Neva and I found a bed and breakfast that we called home for several consecutive summers. Besides relishing the amenities of Lakeside, we made lifetime friends with the other guests. A popular spot to shop. Ironically, our friendship circles expanded exponentially when that B and B closed. We found a new summer home just down the street. We’ve been enjoying the sweeping front porch of Maxwell Hospitality House on the corner of Walnut and Third for years now. To help celebrate retirement, this year we expanded our loving Lakeside to two weeks. We enjoyed friends, dominoes, entertainment, lectures, presentations, strolling, sunsets, and, yes, exchanging greetings with strangers, an unwritten Lakeside requirement. The second week, we added shuffleboard and children’s activities since our grandchildren, and their parents joined us. There’s only one Lakeside, Ohio. It’s gratifying to know its goodness and kindness will continue to be appreciated by family members for years to come. You have convinced me to put Lakeside on my, “Places to Visit ! Good for you, Norma! I’m sure you’ll enjoy it. Was the closed place Lakeview Inn ? Welcome back! No. Rothenbuhler’s B & B.
Hi Bruce. Have not been to Lakeside in years since I was a teen (last century) and we would go there for local church conventions with our youth group. I found your site as I was looking through sites for Haitian relief. I am still at Norwayne, starting my 42 year in education, and still loving it except for all the paper work. Thanks for what you do and God bless your work. It’s so good to hear from you! How are you doing? I can’t believe you’re still in education! Are you retired and then rehired? Are you involved in Haitian relief? You should plan a trip to Lakeside. This weekend is the last for the gated season. Hello, Bruce. It’s Bruce. 🙂 But seriously, great post! I love Lakeside and visit often. My parents met at First E. U. B. in Findlay in the Sunday School orchestra. They dated for awhile and then my dad was having some doubts. Annual conference was coming up and they were both going to go. One day my dad saw my mom walking around Lakeside with another guy. That did the trick! They got back together and eventually had 3 kids. I’m the youngest. What b&b closed that you used to stay at? Thanks for sharing your family’s story. It’s always nice to meet another Bruce. We have to stick together. The B & B was Rothenbuhler’s, now reopened as Evening Song B & B.